It seems like everyone’s taken a sudden interest in giving Tesla a run for its money. 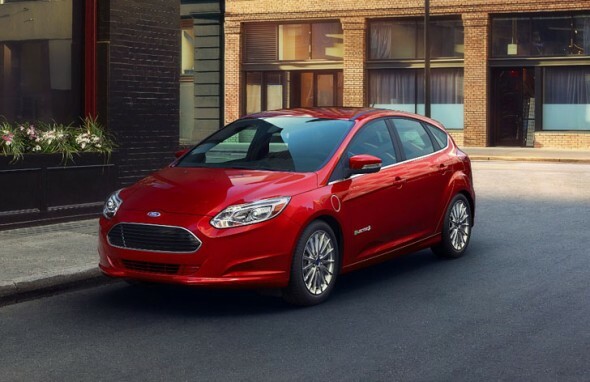 Very recently, American carmaker Ford announced its intention to develop a car that’s fit enough to rival the Tesla Model S. The company plans to develop a car with a range of 265 miles that’ll give folks around the world the opportunity to stick to the Ford brand, without simultaneously choking the environment with exhaust fumes. 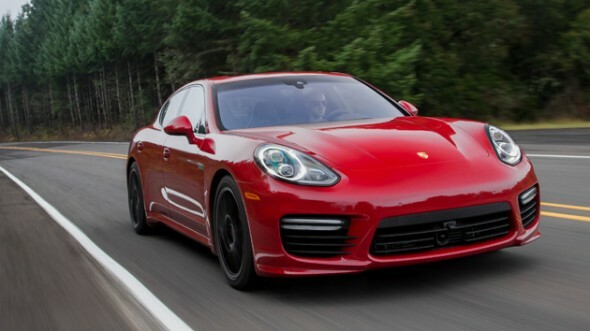 German auto manufacturers are now looking forward to build cars like Tesla’s Model S! After the tremendous success of Tesla’s Model S electric car, nearly every big manufacturer around has begun day dreaming about developing a car along similar lines. Now while Tesla did manage to break through every barrier and develop a car that’ll go down in history as the first of its kind that was truly road-worth and practical, companies like Porsche and Mercedes too have begun drawing up plans for similar electric cars. The Germans are promising electric cars with ranges touching 250 miles! 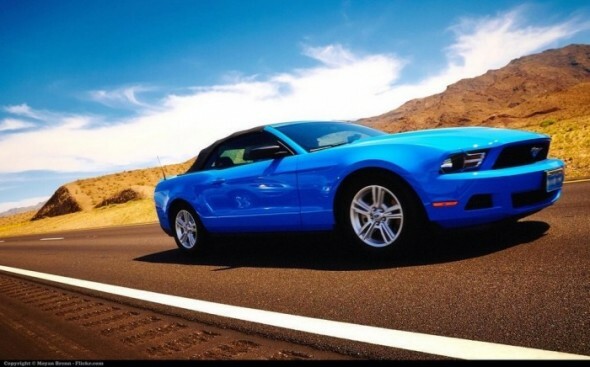 One of the biggest hurdles car rental companies face these days is bringing their cars back home. Rental cars aren’t always dropped off at places of a company’s choosing and these services then need to have their rides transferred home when used. Instead, the Transfercar service now enables car relocation services in a less-expensive and more practical way! The service offers free rental cars from one location to another, in turn helping rental car companies transfer vehicles! Oil isn’t particularly considered to be a luxury in Qatar, owing to which, citizens aren’t really taken by surprise every time they need to pay a measly sum of about a dollar for a gallon of gas. This is also why, the people of Qatar don’t think twice before jumping behind the wheel of a car as often as possible. However, things could change for Qataris as authorities are looking for a greener mode of transport for the population. 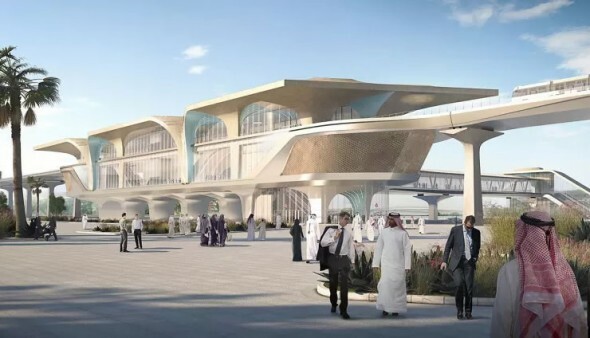 To begin with, the city of Doha will welcome home a swanky new Metro Network that will include 100 new train stations! Driving a car to travel short distances in an urban environment isn’t the best idea, particularly if you’re looking to breathe in unpolluted air. One of the best replacements to chunky gas-guzzling cars is an electric bicycle, particularly because of the fact that it enables green transport while helping you stay fit. 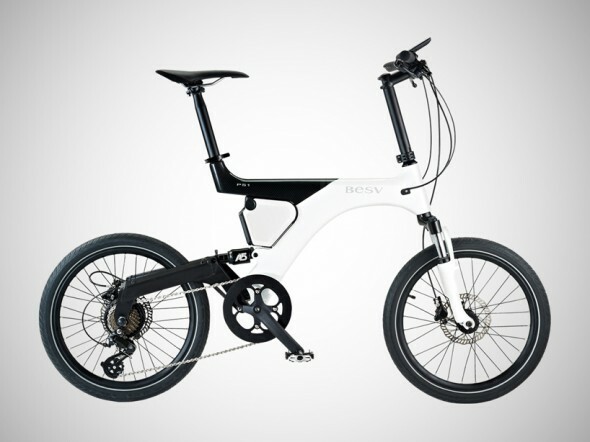 Recently, we spotted the BESV Panther PS1 pedal-assisted electric bicycle, a carbon fiber bike that is also the winner of the 2014 Good Design Award. Volkswagen hasn’t stopped dreaming about unleashing the most fuel-efficient production car known to mankind. To fuel its dreams, the automaker recently revisited the XL1 by popping inside a two-cylinder engine, basically a Ducati Superleggera V-Twin unit! Sporting a new chassis based on motorsports, titanium and magnesium-alloy components and lots of futuristic upgrades, the car produces 197 hp to go from 0 to 100 km/h in 5.7 seconds and touching an ultimate top speed of 270 km/h. 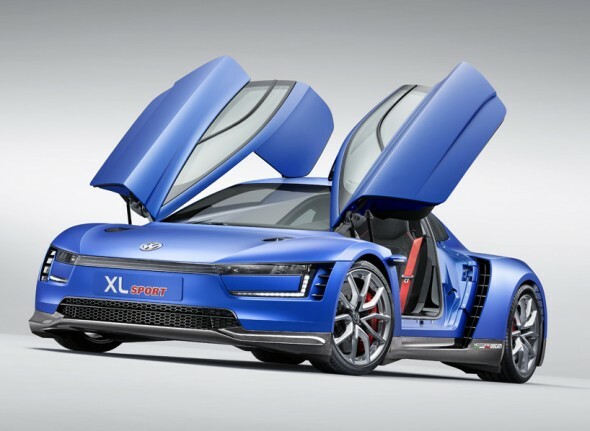 The new car is called the XL Sport! The French like doing things differently. Which is why, soon this nation full of love and champagne will begin playing home to extremely bizarre but seemingly cool three-wheeled buggies. 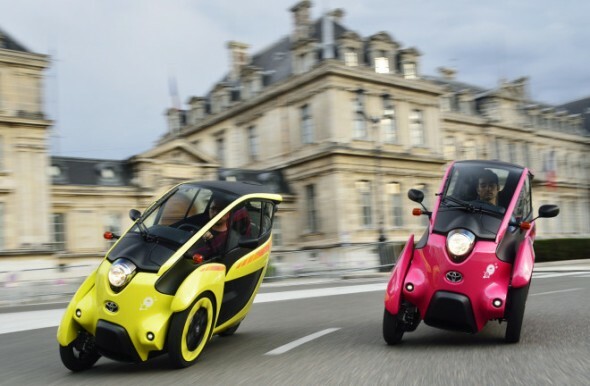 From next month onwards, Toyota and Grenoble will give folks in France an opportunity to ride on these electric vehicles. 70 EVs like these will be up for rent for short periods of time, allowing citizens to enjoy a quick joy ride. Salt has always been an essential to the food industry, but little did we know that the automobile world would soon begin leaning on it too. A recent news report made us drop our recycled cups of coffee on our hipster chinos and we’re quite sure it’ll have the same effect on you! From what we’ve read, a company called Nanoflowcell has received official approval to test its e-Sportlimousine on the roads from German. So what’s special about this? 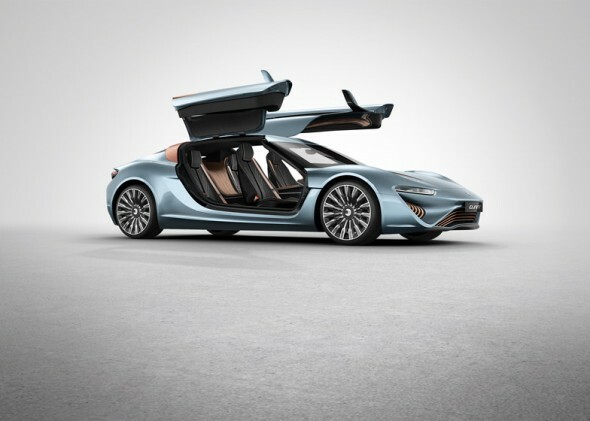 The Quant e-Sportlimousine electric car is powered by salt water! 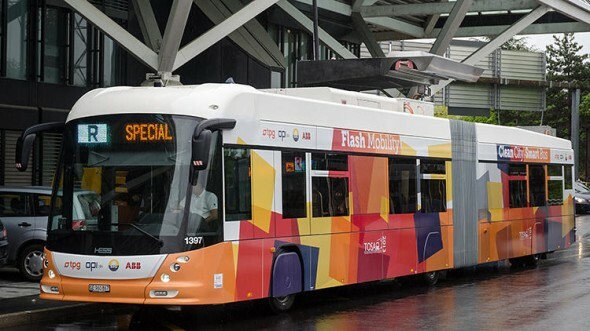 Electric buses have always been considered as one of the cleanest ways to get people around town. However, with technology being extremely limited these days, most electric buses have been confined to fixed routes with overhead cables juicing them up. Instead, we’ve come across a concept electric bus that sports a rapid-charger, enabling the vehicle to juice up in less than a minute. This will enable the bus to charge at bus-stops while passengers board and alight! World’s fastest sidecar, the Killajoule, breaks records at 389.219 km/h! Just when we’d begun to imagine that electric vehicles have finally reached their speed thresholds, the Killajoule has managed to leave us astounded again. Built by Eva Håkansson, the Killajoule has been crowned as the ‘World’s Fastest Electric Sidecar’, touching a top speed of 389.219 km/h at the Bonneville Motorcycle Speed Trials. 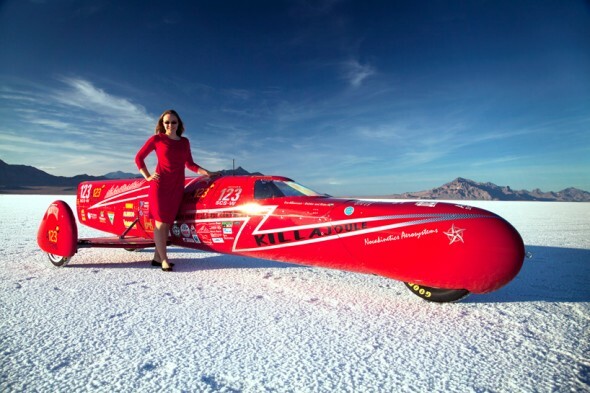 The side-car managed to achieve a two-way average of 387.328 km/h, leading to Håkansson bagging the crown for the ‘World’s Quickest Female on a Motorbike’.